Impressed by comfortable beds. Staff at reception were exceptional on my arrival. Didnt stay long enough to use many facilities. Mitsubishi Airconditioners . ++++++ ! Excellent We moved from the Mercure Grand apartments to The Alto to be closer to Crown Casino. Pleasantly surprised. Thankyou. We just needed somewhere comfortable while in town for a family wedding. The suite exceeded our expectations. We enjoyed the breakfast in the dining room and the massage chairs. My only gripe - we couldn't get the massage chairs to recline. We'll have to try again next time. Very welcoming and helpful. Highly recommend and would stay again. We enjoyed our time at the hotel. The service at breakfast wasn't as good as the rest of the time. I felt the poor woman was over worked in the small area. There was an extra team (Young & Tall) member who just seemed to be wandering around not doing anything. This was my 6th stay so I guess you can say I am very satisfied. I particularly appreciate the cleanliness of the rooms; the helpfulness of front of house staff - Andrew and Hassein are always welcoming; and the proximity to Southern Cross. Very functional, ideally located hotel, with surprisingly attentive staff. Very comfortable and pleasant stay. Good facilities and responsive service. Have stayed here whenever we've flown down for the Australian Open, at least 4 times. Best location in the city with a variety of transport options and restaurants close by. Staff are always attentive and friendly and we've always found our stay comfortable and relaxing. We'll be back. This is our fifth stay at Alto Hotel On Bourke. I think that shows that we are very happy with the hotel. We like the fact that it is a small hotel and guests are treated professionally but with a very nice personal touch. We would always stay at this hotel in Melbourne. Fantastic accomodation. Couldn't fault it really. Found the bed and pillows extrememly comfortable. Positive experience. Clean, comfortable. Like the Green agenda. Free internet and TV in bedroom very nice bonuses. Desk staff helpful, especially man who greeted us initially. Position was away from area I am used to, but with a tram so handy and good restaurants so close, location proved to be of no consequence and would not deter me from staying again. I liked the eco attitude at Alto, it's location and the room was well fitted out and clean. The complimentary breakfasts were very good. The staff at Alto were lovely and went out of their way to be helpful, overall a very pleasant stay thank you. The hotel was quiet, comfortable and very well appointed. I arrived early expecting to have to drop my bags and come back later but was pleasantly surprised when the staff allowed me access to my room at 1pm, so I would like to thank the hotel for this. We really like the small 'boutique' feel of the hotel as opposed to the impersonal clinical chain hotels. Please don't change this. Friendly staff like Andrew - great. I would recommend to friends. I would stay again. Perfect location, beautiful bed. Good cooked breakfast. Good service. Great that you liked our new Alto Indulgence bed. It is the deep pillowtop mattress that makes the difference. Second time I've stayed here would definitely be back again. Thank you for your comments. We do handle numerous packages from various sources and we appear to have misinterpreted some aspects of the booking on arrival. Unfortunatley equipment does fail unexpectedly at unwanted times. We do have backup procedures for these situations which were followed, providing access to the room wihtin 25 minutes. 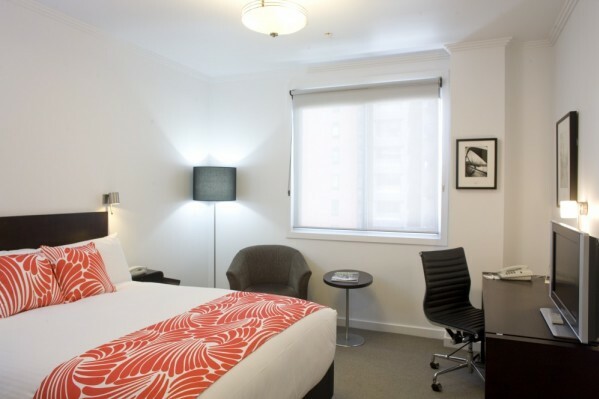 We look forward to having you stay with us againon your next visit to Melbourne. Great location, delicious breakfasts, waitress with blond hair was very welcoming. We have stayed here previously and both times we have enjoyed the facilities in the room including the room layout and inclusion of kitchenware. Even though it was a brief stay it was very enjoyable and the staff were very helpful. The bed was very comfortable and the bathroom facilities were excellent. Very good experience. Helpful staff, super easy to get to and from airport as minutes walk to station, super nice rooms. We will be back, We liked the location a lot and would take advantage of any special offers you may run. A delightful short stay. The staff made us feel very special. Suggestions in the welcome book were very useful. We were very pleased to book our walking tour though the hotel. All very good except I paid to have cooked breakfast with my internet booking and only realized on the day the particular meal (vegetarian omelette) that I wanted wasn't included unless I paid extra $2. This is a little disappointing. I applaud your environmental sustainability credentials and ongoing commitment and will keep coming back to your hotel on this basis alone. Keep up the great work! Were very pleasantly surprised by the overall experience and especially the value. Staff were very helpful and pleasant throughout our entire stay. Nothing was too much trouble. Room was very clean and comfortable. Great breakfast. We were very impressed and would definitely stay here again. Very comfortable and excellent value for money. Handy location next to Southern Cross and tram stops. Once again a fantastic stay. We had a small issue with drain in bathroom and the staff responded promptly. We love the staff, location, and vibe of this hotel, can't wait to stay here again! Generally quite good; and convenient location for exploring Melbourne CBD.